a. Based on the lessons learnt from the earlier pilot project a very strict criteria was developed for the pre selection of the applicants. 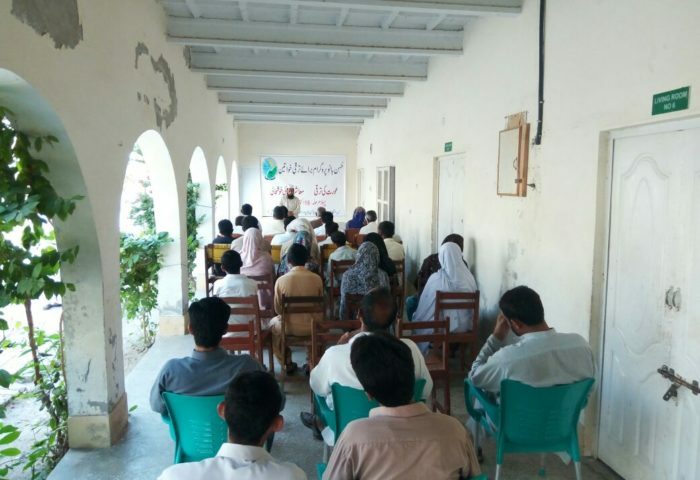 In addition to the need, capability, experience and capacities of the beneficiaries were assessed in the selection process of the beneficiaries. 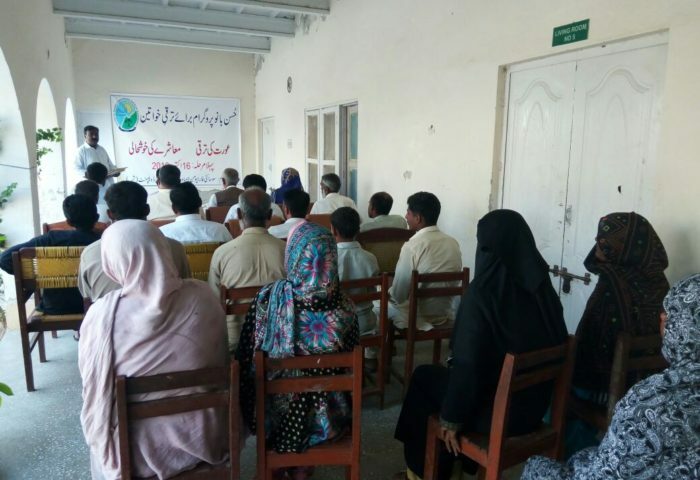 This hopefully would ensure that those women/families are the clients, who are not only needy but are also able to implement the project in an effective manner. A questionnaire for the pre-selection of beneficiaries has been developed. b. In the first stage a total of 13 families have been pre-selected. 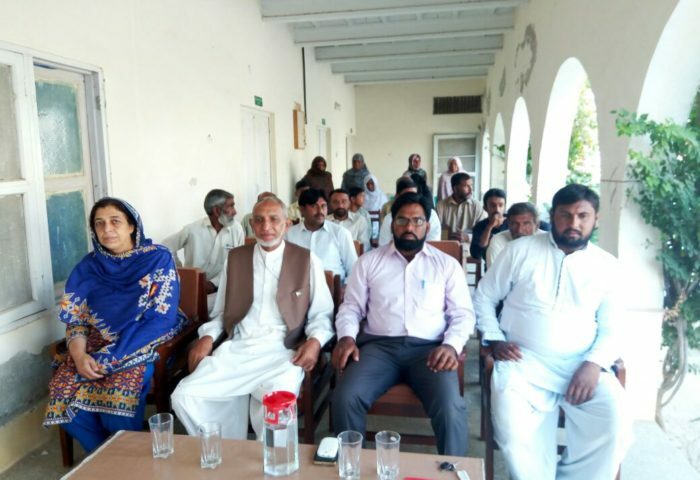 Within these families a very detailed instrument has been applied to set the baseline of the information regarding the income and economic level of the families. 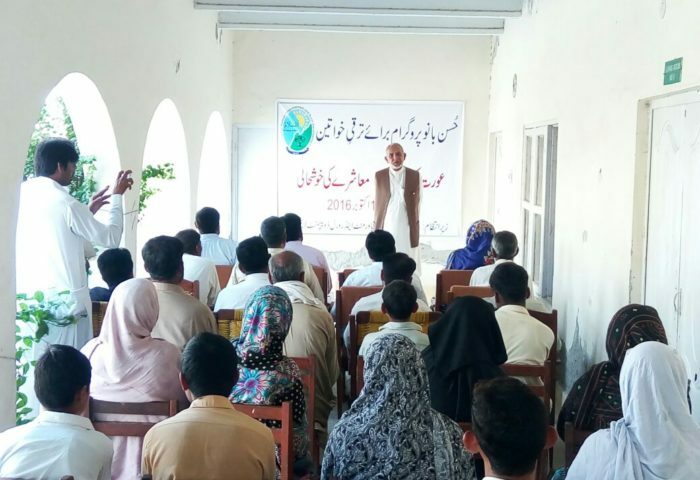 The instrument that has been applied is from Food and Agriculture Organization (FAO), and it is a very comprehensive instrument accompanied by a database. This will enable us to measure the difference in economic well being of the families on a scientific manner. 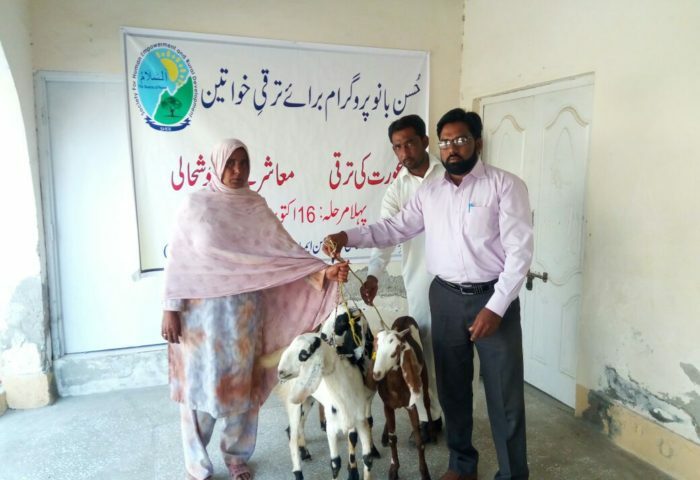 c. The purchasing of the goats was identified as a very critical component, because in the earlier pilot phase the families tended to save on the purchase cost of the goats which then didn’t pay dividends in the long term. 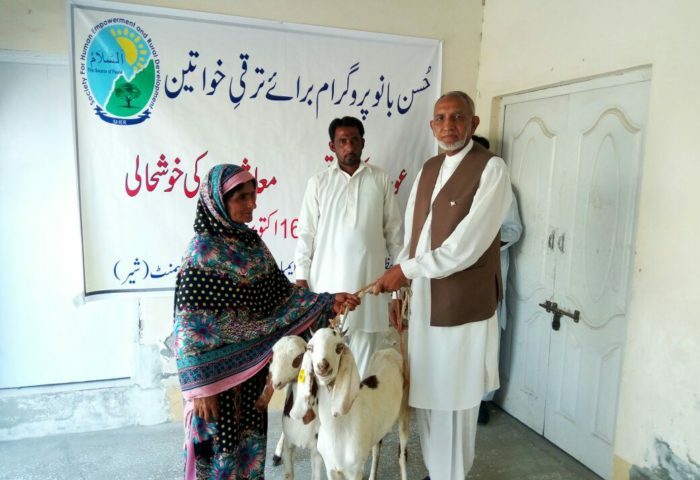 After a very comprehensive survey of the different farms, local livestock markets, the breed suitability, a bulk purchase has been undertaken for the first 16 families. 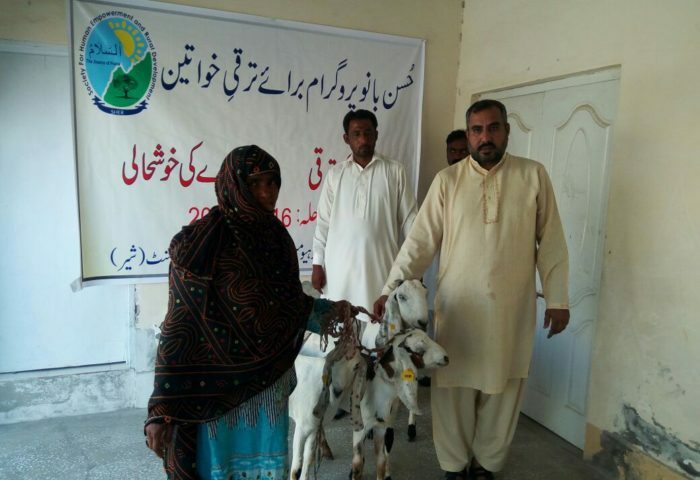 A total of 33 goats have been have been distributed today among 13 families. 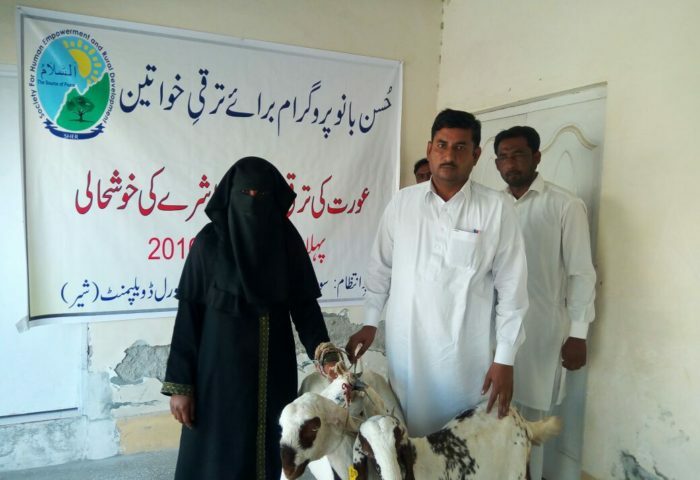 d. The vaccination of the goat is also very important and partnership has been established with the Livestock Department which will ensure vaccination of the goats. 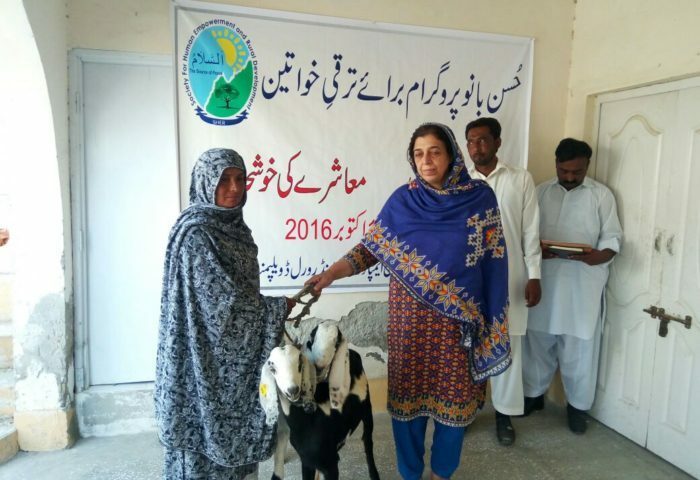 The first batch of goats have been vaccinated before distribution to the families and subsequent vaccination will also be undertaken with the support of Livestock Department and record kept. e. As a principle it has also been agreed to partner with the women in households, because usually they are responsible for caring the goats and this will also ensure economic empowerment, whereby the women can use additional income for improvement of health and education status of the family. f. An MOU has been developed and signed with each family member to ensure that the terms and conditions of the support are very clear. The mechanism is of partnership 50% and 50% with initial 100% capital coming from the program. 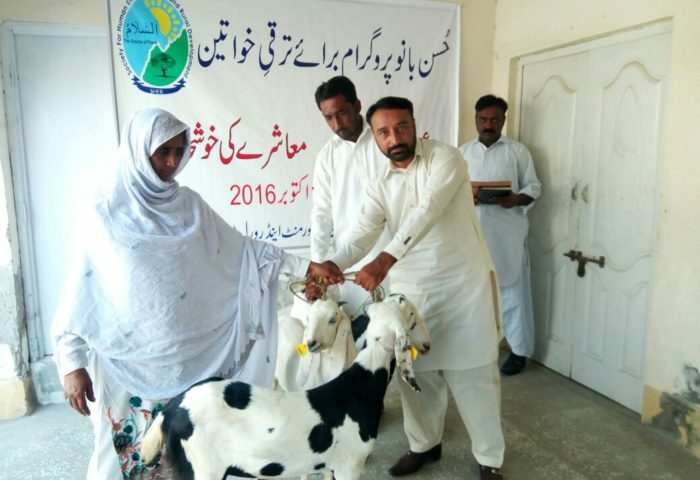 g. A rigorous monitoring mechanism has been developed for the program to ensure the success of the program and to keep the mortality rate among the livestock to a minimum. The monitoring will also record the financial viability of the program based on the financial analysis for development of a revolving fund on a long term basis. A Monitoring Form has been developed for this purpose. We look forward to your support, guidance and prayers for this important milestone of the NGO. We would also like to put on record our gratitude’s for Mr Azhar Saeed Malik for the provision of initial pool fund for this program. 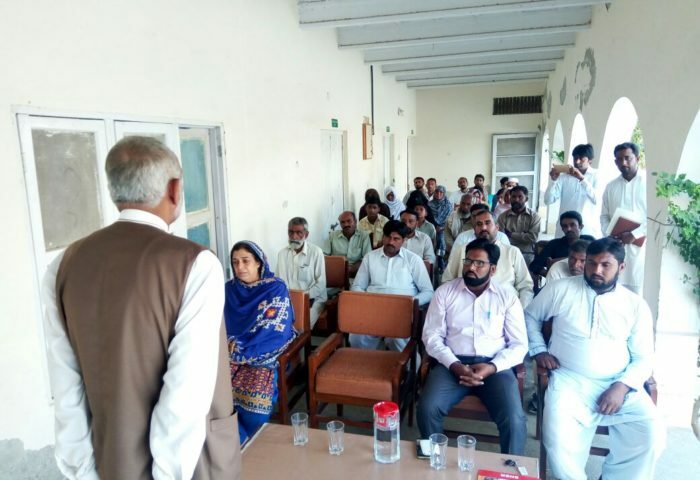 Based on the success of this model, we expect from all friends of SHER to chip in their investment with a view to supporting the needy families and also gain some returns for themselves. This is truly a win-win situation for all of us and a model of Private-Private Partnership.